I've heard about millionaires, seen pictures of them, but it wasn't until just a few years ago that I met one face-to-face. It was in Phoenix. Whether this person was a millionaire or a multi-millionaire I really don't know, but he had become fabulously wealthy because of the increase in value of land purchased by his parents, which he inherited. No, I won't tell you who it was, or where the land was, that's private information, but he was I suppose in his sixties when I met him and he had grown up in a small house there on the property. The house was still there when I visited, although obviously no one had lived in it for a very long time. I'm no good at math, but I calculated that his parents bought that chunk of land in the 1940s. 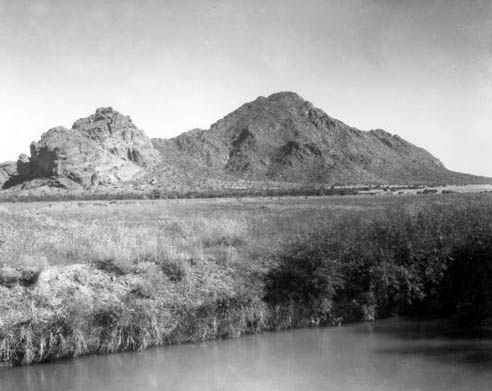 It was in the foothills of Camelback Mountain. I also really have no idea how much land there was but I learned later that there was going to be seven (7) luxury homes built there. A nice big chunk of land in a very desirable area of Phoenix! Anyway, I went there to see if I could rescue a cycad, which is a type of plant. I'm interested in cycads, but I don't have the budget to buy expensive plants, and I do have the knowledge to transplant them, so somehow we connected and he told me if I wanted it to just come and get it. It was a beautiful plant that he just didn't want to see bulldozed. So I asked a friend with a truck and a strong son to come along and help me. Actually, I did very little of the work, most of it was done by my friend, his son, and the millionaire. And if you're trying to picture what this millionaire looked like, you can dismiss that he wore a top hat and a tuxedo, or a white suit. He looked like anyone else you might meet in Phoenix, and he drove and ordinary vehicle. He helped with the digging, and I just kept thinking that he was a millionaire. This kind of thing happens in Phoenix, and even more so in Los Angeles. People become millionaires just because a chunk of land becomes more valuable. How about that? No tuxedo required! Photo at the top of this post: Camelback Mountain in the 1940s, Phoenix, Arizona.